Fagans Lunch is not on the NOAA chart … yet. But we go there so frequently and have recommended it so often, it probably should be. It is well sheltered from West – Northwest – and North winds and swell. Brian Fagan likes it here. 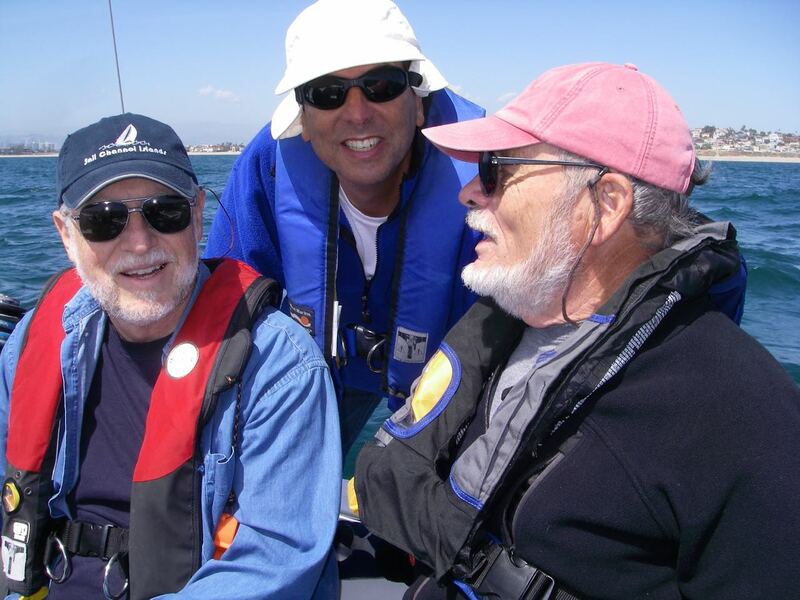 Head for a spot a half mile east of Anacapa Light. Check your chart and your track to avoid numerous rocks near datum (i.e. 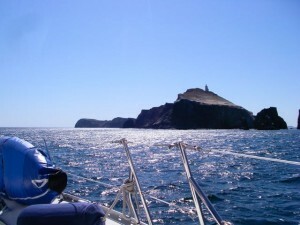 just below the surface and therefore invisible) that surround pinnacle rock at the east end of the island. It is frequently possible to sail directly into the anchorage and kind of a fun exercise. Anchor on or outside the 7 fathom curve. Anacapa Light should bear about 350M. Click chart to see all of 18729. 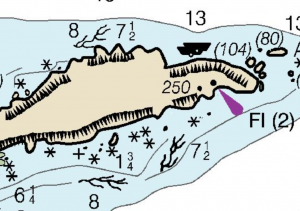 While you can anchor just about anywhere on the south shore of east island, our favorite spot is slightly SW of the light on or outside the 7 fathom curve. That may feel too close to the rocks for you, so go to 50 or even 60 feet. With Sancerre’s all chain rode, we use 3:1 in a day anchorage. With Wiley’s rope and Fortress ground tackle we generally use 5:1, which means we’ve got enough to anchor in 70 feet. Should you nod off and drag anchor, your next stop is Malibu. 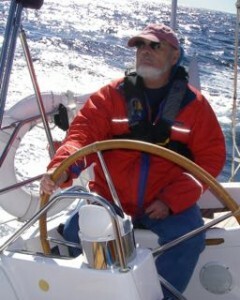 Brian Fagan, sailor, author, professor and raconteur. At the helm of Sancerre. Brimming with good humor and with an endless supply of sea stories, he’s also one of our very favorite sailing companions. If you’d like more information or have some for us, please write to Captain Dan or call 805.750.7828.